A new adventure awaits in “The Wonderful One-Eyed Teddy Bear: Kristi’s Favorite Granddaddy Stories: Teddy Gets a Car.” This book takes readers to new and exciting experiences that will surely bring new lessons and values for every young reader. Join Teddy and his friends as they go through one journey after another while showing admirable acts of loyalty, friendship, kindness, and honesty that young readers can learn from. Glen Robinson’s passion for sharing wonderful stories with his granddaughter, and every other child who gets to read them, is definitely far from over. This time, Teddy and his friends embark on a new adventure that’s sure to keep the reader spellbound. In this story, Robinson introduces lovable new characters that will join the fun! Together they solve one issue after another while showing admirable traits of loyalty, friendship, kindness, and honesty that young readers can learn from. 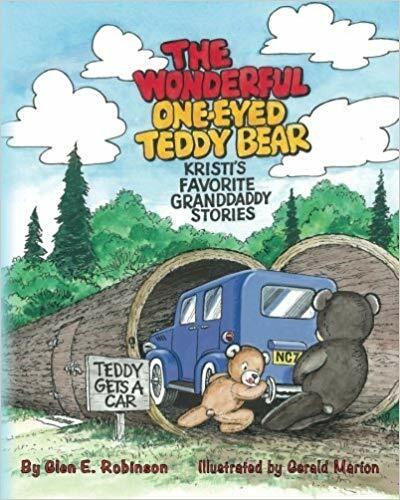 “The Wonderful One-Eyed Teddy Bear: Kristi’s Favorite Granddaddy Stories: Teddy Gets a Car” follows Teddy’s little journey towards owning his first car. He shares a wonderful idea of a road trip with his friends. However, they remind him that he doesn’t own a car. Luckily, Mr. Bear, Mr. Lion, Mr. Bunny Rabbit, and Mr. Billy Goat stand ready to help him. In order to successfully buy his own car, he gets a job on Mr. Billy Goat’s farm to earn money. Then Mr. Lion teaches him how to drive. After a lot of hard work, he takes his driver’s license exam and passes it with flying colors. Now that he’s all set, his dream of a grand road trip with his friends is finally going to happen. Soon, “The Wonderful One-Eyed Teddy Bear: Kristi’s Favorite Granddaddy Stories: Teddy Gets a Car” will join the upcoming 2018 Miami Book Fair International on November 11-18, 2018. Robinson’s exciting children’s adventure book will be on display during the nation’s finest literary festival along with many other titles from different genre types. Therefore, book lovers and literary fans should not miss this exciting literary celebration! A former dental school educator, Glen Robinson retired to North Carolina to be close to his granddaughter. Kristi loved to hear Granddaddy tell her stories about her stuffed animal family. Although these stories were originally put to paper to preserve them for Kristi’s future children, they are published here in hopes of many others enjoying them as well.